Remember Scott Foster, the beer-league hockey player who got pressed into service as the Chicago Blackhawks emergency goalie in a game March 29? As unusual as that story was at the time, it was unusual for another reason: Foster didn’t want to talk about it afterward. According to the Chicago Tribune, media requests came from around the world, and Foster refused them all, preferring to return to his quiet life as an accountant. But this weekend, the 36-year-old Foster will be a featured guest at the Blackhawks Convention. Ahead of that appearance, he talked about his incredible experience that night in a lengthy interview with the Tribune’s David Haugh. Foster admitted that, just like every other emergency goalie who sits around in the press box on game nights, he never expected to play. But he got a phone call on his drive to the United Center that night that told him this game would be different. 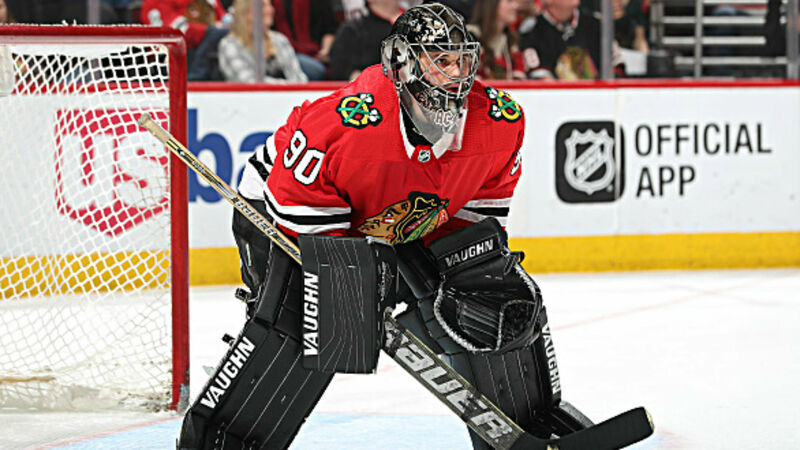 Starting goalie Anton Forsberg suffered an injury during pregame warmups, which gave Foster the opportunity to dress in a Blackhawks uniform. He still didn’t think he would play — he just wanted to take a photo to send to his old goalie coach at Western Michigan, where he played four seasons. But when last-minute starter Collin Delia left with an injury six minutes into the third period, Foster got the call. Heading toward the ice, Foster had to choose between two sticks he’d been using in his local beer league, old sticks dating to his college days. Both sticks were cracked. But life quickly returned to normal for the overnight sensation. Foster told the Tribune that a week later in a beer-league game, he gave up six goals. Foster had a simple explanation when asked why he’d waited four months to share his tale.